I'm being a much more candid blogger of late. This is probably the third outfit in a row that wasn't intentionally shot as an 'outfit' for the blog. 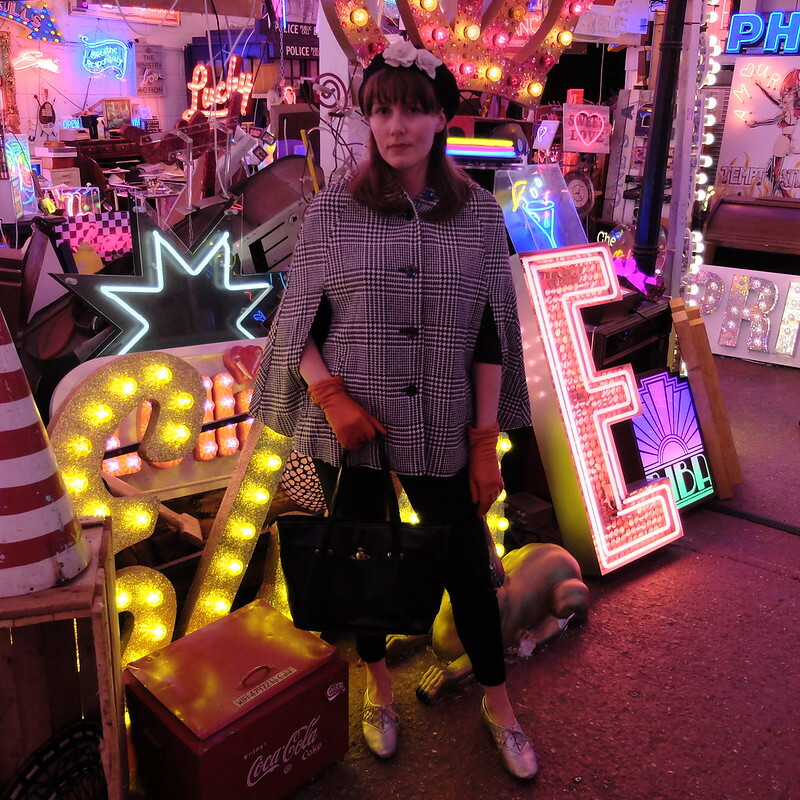 I've been so incredibly busy that we've just been taking snaps when we're out and about doing other things, rather than planning styled shoots in advance. I suppose it means you're getting more of an idea of the casual side of my wardrobe, and just how much I repeat certain items. 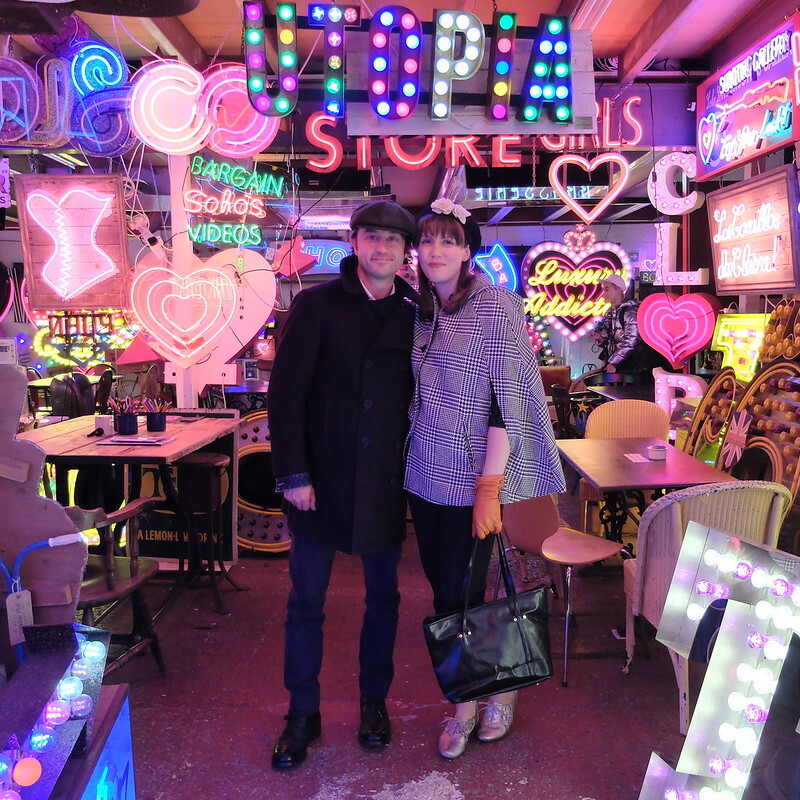 Last weekend we were in London, and ended up one evening in the increasingly hipster area of Walthamstow to visit family. 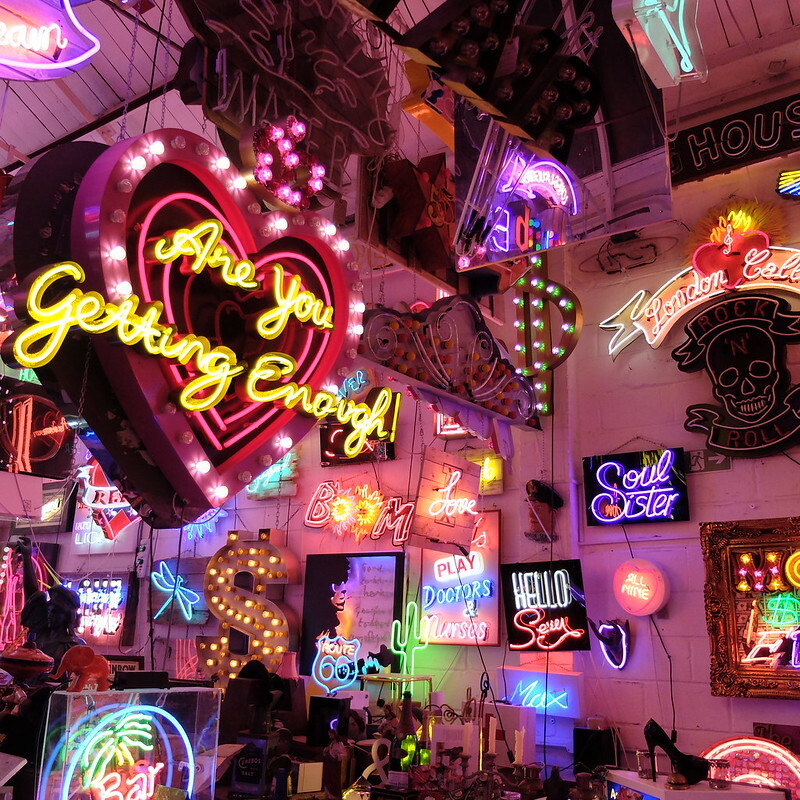 God's Own Junkyard is a neon sign maker, you might have seen it featured on house programmes like George Clarke's 'Old House, New Home'. In such an amazing location it would have been silly not to take a few photos! This was quite the popular photo location. Whilst we were there a trio of gothic girls were striking some moody poses for their Instagram accounts. Their posing put mine to shame. 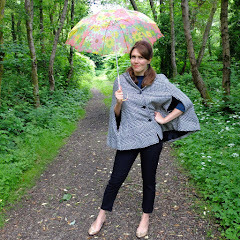 The fabulous houndstooth cape featured on my blog back in July (yes, capes are necessary in the British summer! 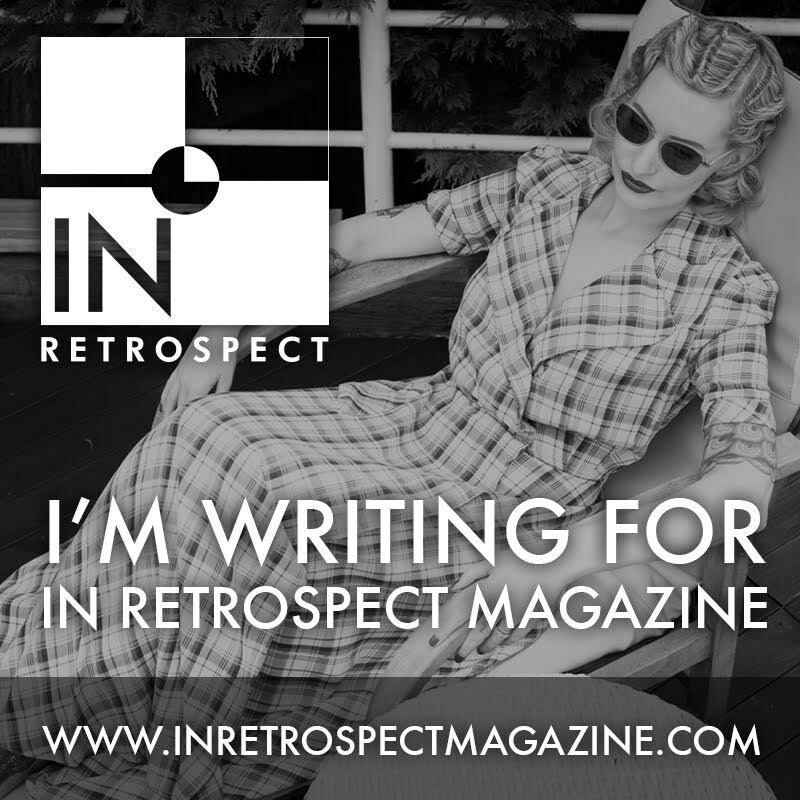 ), in a 1960s inspired look. Whenever I travel I try and make sure I stick to a colour palette so that I can mix and match, so for our London trip it was black and white. I always put a few colourful accessories in too, and I was pleased to wear my fabulous Dents gloves again. I love the little coloured buttons on the wrists. 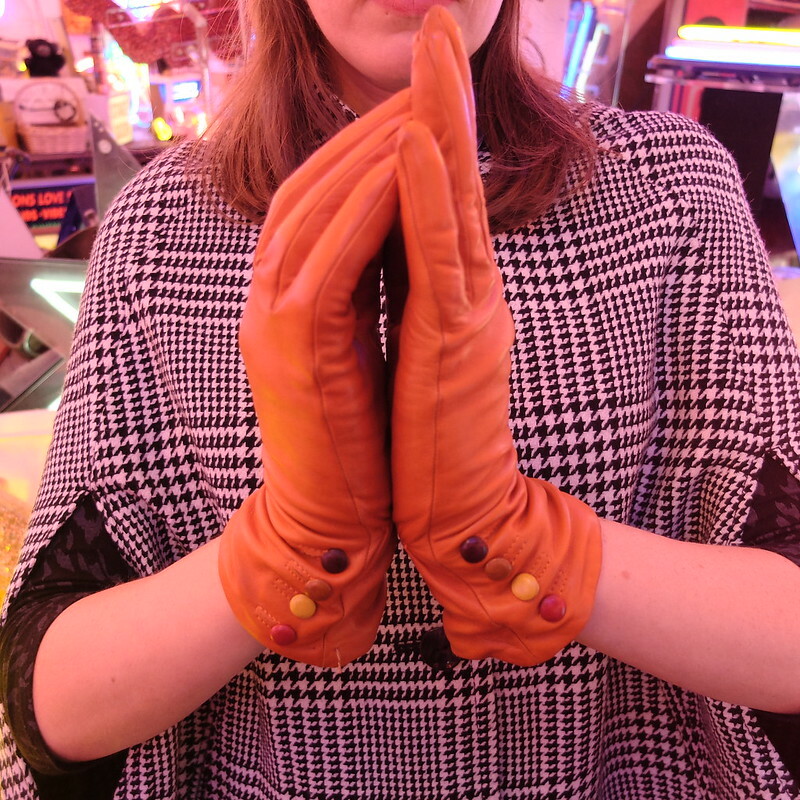 They were a £4 bargain too from a car boot sale, which is a steal for Dents leather gloves with a cashmere lining! I adore this whole outfit and the location. Those buttons on the gloves! After seeing you wearing that hat so well I'll be on the lookout at my next estate sale to see if I can't scoop up something similar. It really finishes the look. Your man also looks so dapper. You guys are a very striking couple. While I love your planned photoshoots I also really love seeing these more candid shots! 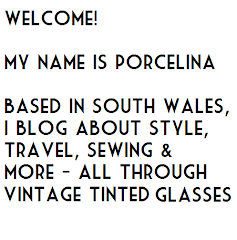 Keep it up Porcelina! So great seeing this side of you and your wardrobe :) Also, great cape and gloves! 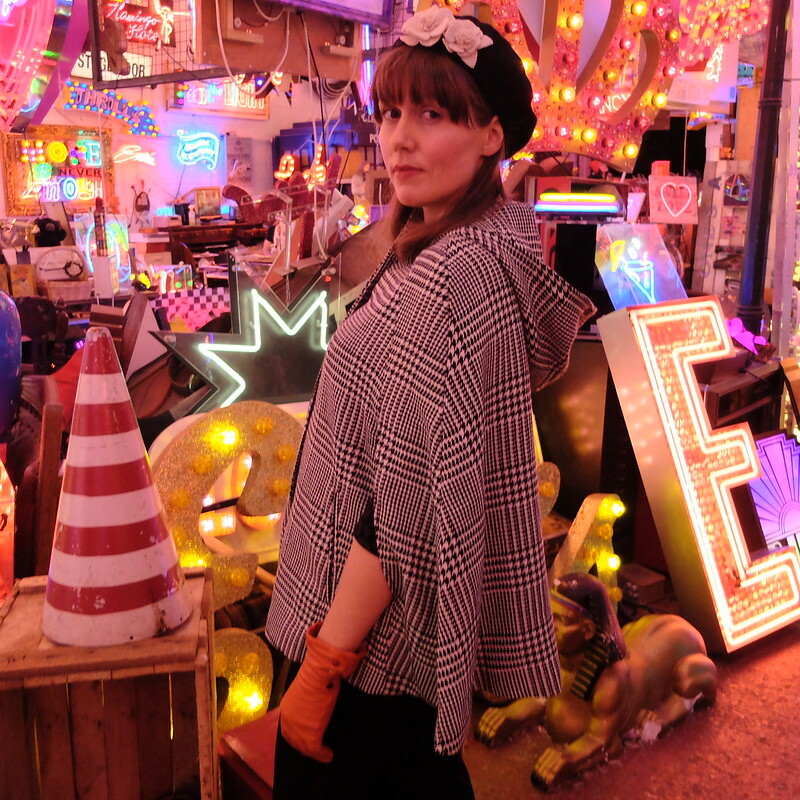 I remember God's Own Junkyard from an episode of Salvage Hunters, I could go mad in there! Those gloves are gorgeous, a wonderful find. You both look brilliant in your casual gear. Wow, that place is amazing! As an unplanned photo shoot location you really can't beat that. I'm still in love with that cape, and those little silver (?) flats are too cute. Your casual style is really fun and perfect on you. I like seeing photos of your real outfits as much as your purposefully planned ones - clearly you have a consistent style, as your outfit here looks every bit as 'you' as the others. I love those silver shoes! This place looks nothing short of spectacular! Also your outfit is amazing!!! I like where this is going as a canid blogger. It brings a really great uniqueness! 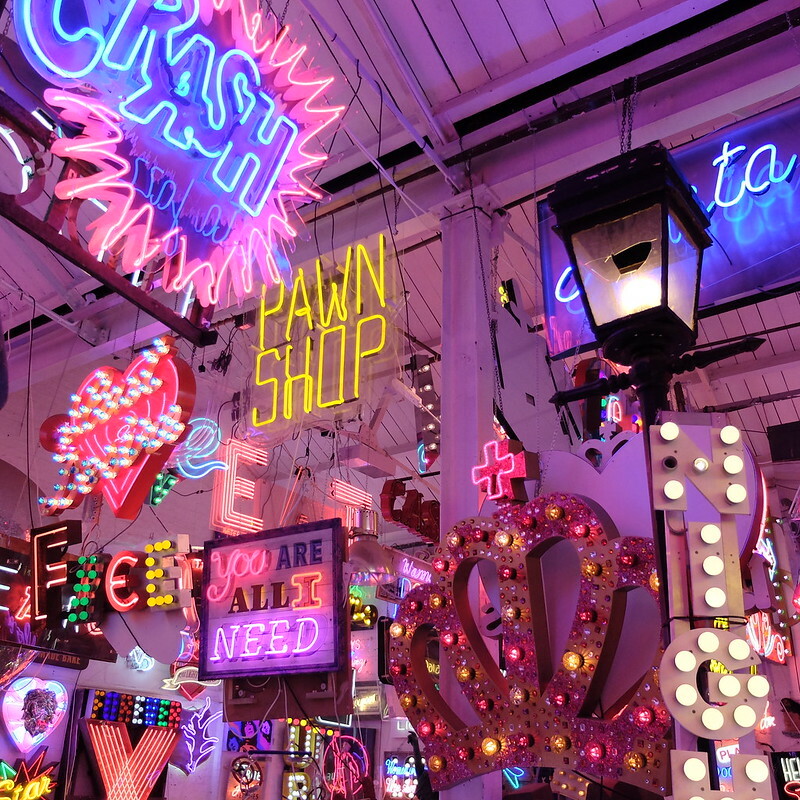 if you liked this you would love the neon boneyard in Las Vegas, lots of people have wedding photo shoots there.